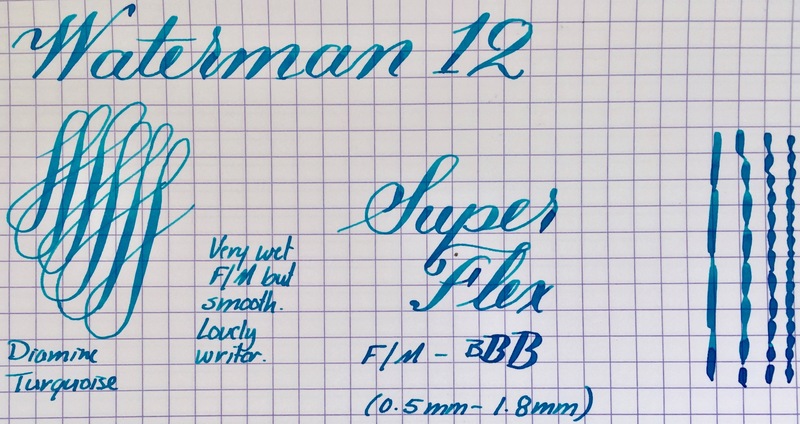 Here is a great Waterman 12 in really nice condition. The black hard rubber has faded some to a very dark brown. The chasing, however, shows little wear and is quite crisp is the imprint. The number on the end of the barrel still has the original red paint. The gold filled trim also looks nice. The clip does have a little bit of wear and scuffing around some of the imprints. The band looks great. 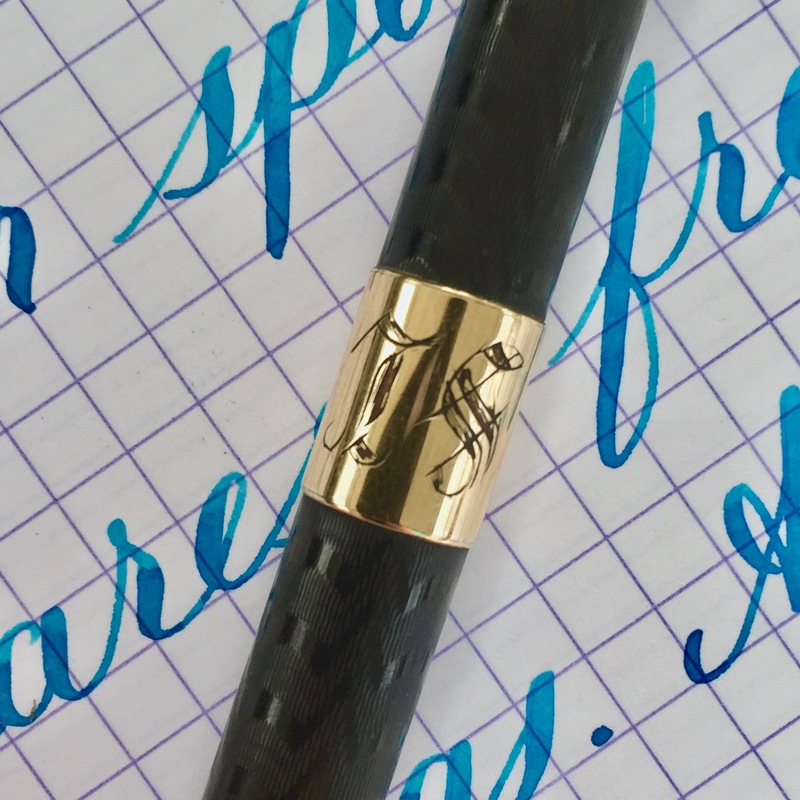 It has the initials “L.S.” is a lovely script. The 14kt. 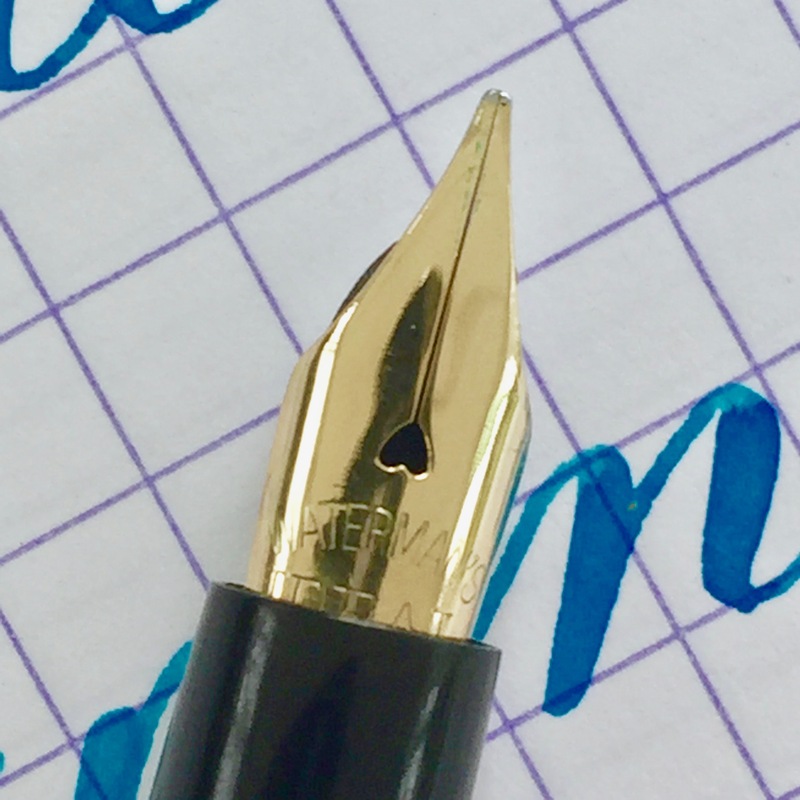 Waterman #2 is a very wet writing F/ M (0.5mm). It writes smooth and has a slightly stubbish feel to it. It’s wetness really does make if feel like a Medium. 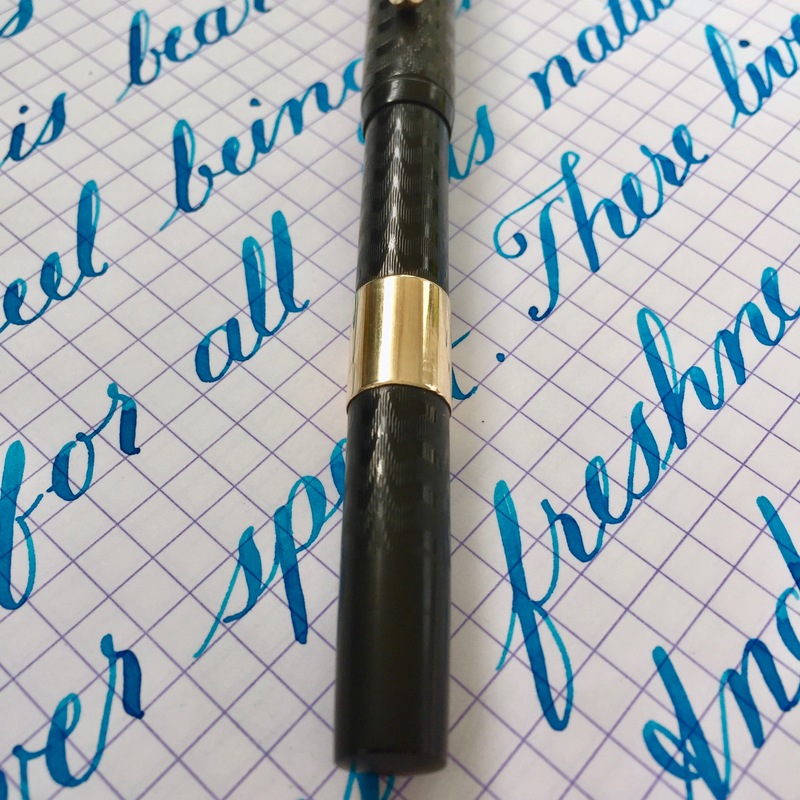 The flex on this nib ranges up to BBB (1.8mm). 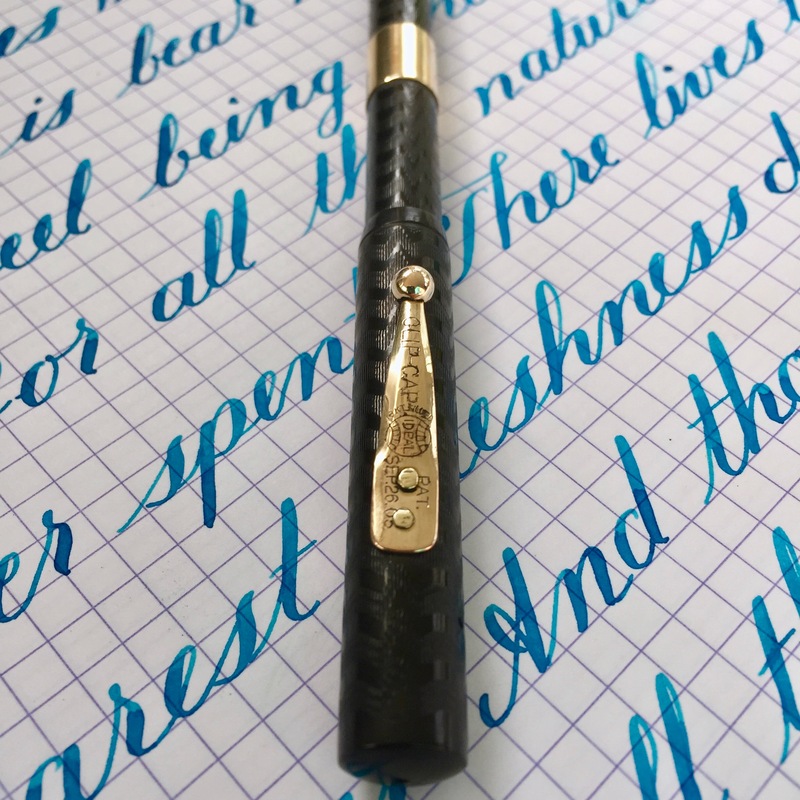 The flow is very wet and has no problem keeping up with the nib. 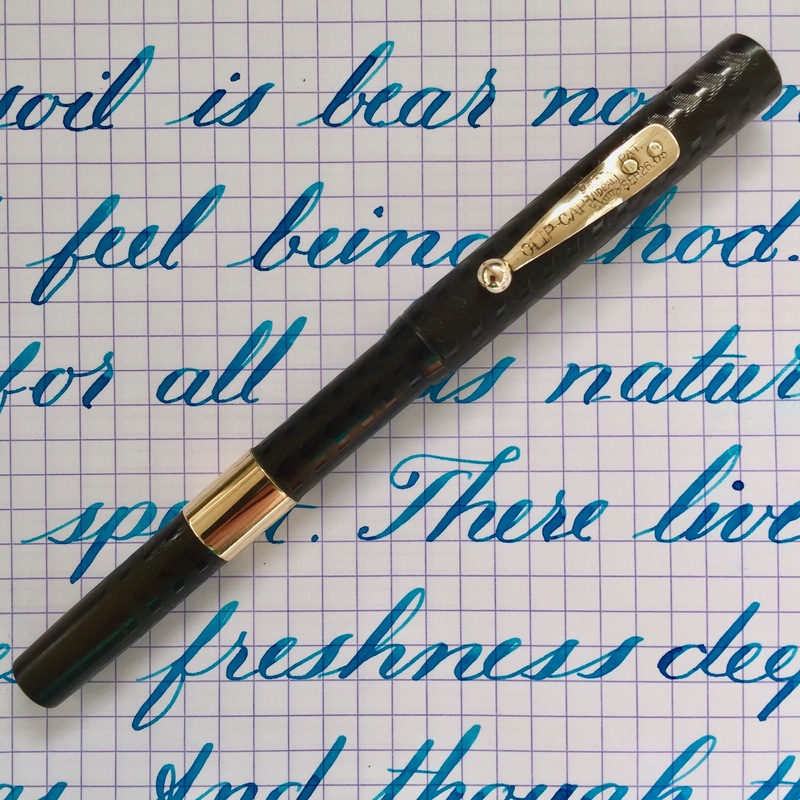 Due to it’s wetness and wide nib, it has average responsiveness. 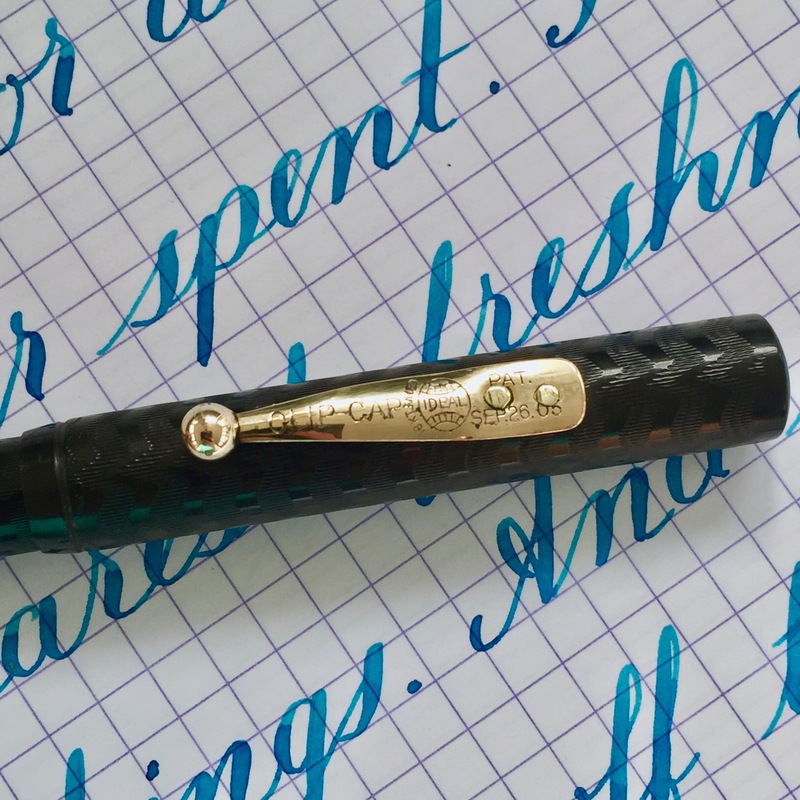 But this is a great Waterman 12 vintage eyedropper is fantastic condition for a 100 plus year pen.